A survey published this morning shows all groups in society believe sexual offences should be the main priority for gardaí. 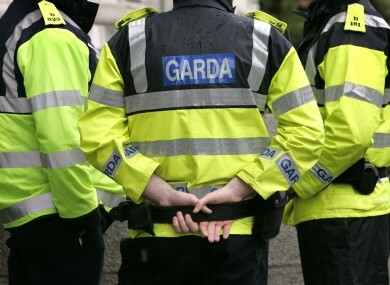 A SURVEY PUBLISHED today has found most people in Ireland trust An Garda Síochána, but many victims feel gardaí either can’t or won’t do anything. Some 682 people surveyed had been a victim of crime in the previous 12 months, with 25% reporting their home had been burgled and 19% saying they had been assaulted. Of this group, 174 people – more than one quarter – did not report the incident. The key reasons for not reporting the crime were that respondents believed that the gardaí could not do anything, that they would not do anything or that the incident was not serious enough to report. The results show 57% of those who did report the incident were satisfied with the handling of their case, but 41% were dissatisfied. The public attitude survey of 6,000 people nationally was conducted by Amarach last year on behalf of the organisation and Garda Commissioner Nóirín O’Sullivan had been asked recently by the Policing Authority to publish the findings. Overall, 70% of respondents said they were satisfied with the service provided to their local community and 85% said they had a medium to high level of trust in the organisation. Most respondents agreed that members of the force are “friendly or helpful”, and that An Garda Síochána is “community-focused”. Less than half of the people surveyed agreed it was “well managed”. The survey also asked people which crimes they would like to see prioritised. The main priority for all age groups, sexes and social classes, was sexual offences. Respondents said crimes against the person were a higher priority for them than other crimes like public order, traffic offences and criminal damage. A garda spokesperson said the results show there is “strong trust” in the organisation, particularly at local level. However, they accepted gardaí have more work to do in ensuring victims are getting the information they want on the progress of their case and the supports available to them. To ensure we address this issue we will be shortly conducting focus groups with victims of crime, as well as carrying out an evaluation of the 28 Victim Service Offices, which were established 15 months ago. Email “Most people in Ireland trust gardaí but many victims feel they won't do anything”. Feedback on “Most people in Ireland trust gardaí but many victims feel they won't do anything”.